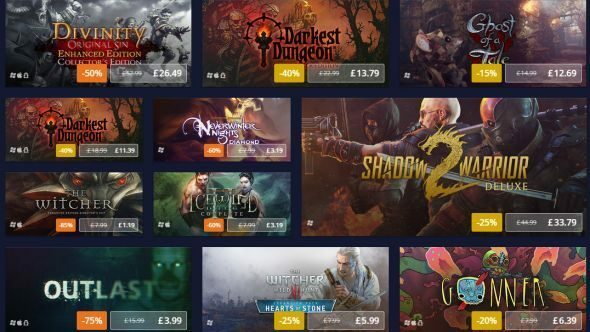 GOG’s winter sale is kicking off right now, getting in a good three weeks before the Steam counterpart. Along with the regular series of absurdly cheap videogames they’re also giving some stuff away for absolutely nothing, zero, zilch, $00.00. Neverwinter Nights, plus its rather good expansions, are totally free for the next 48 hours. For some good old games to get cheap, here’s our list of the best classic PC games. The Witcher 3 GOTY, which has both expansions, for less than the price of a normal game. Divinity: Original Sin is half-price. Superhot has burned away 40% of its price, which is well-worth. Firewatch is a great buy for a little less than the cost of a particularly good pizza. Various indie classics are now basically nothing. Here’s FTL and Downwell, for example. Loads more detailed on the GOG home-page, along with that free NWN, which you get as easily as clicking a button. They’re still doing the 24 hour rotation, so watch for new deals tomorrow. They’re also running a full buying things mini-game offering a few more games for ‘free’ if you spend. Details on that here.